On Thursday, Oct. 6, the Whitman School of Management at Syracuse University will host the 62nd anniversary of the Harry E. Salzberg Memorial Program. The annual celebration of achievements in supply chain management was established in 1949 by Whitman alumnus Murray M. Salzberg ’37. Recipients of this year’s Salzberg Medallion are C&S Wholesale Grocers Inc. (accepted by Scott Charlton, executive vice president of operations), for leadership in the field of logistics and supply chain management and being a role model for social responsibility, and Yossi Sheffi, the Elisha Gray II Professor of Engineering Systems and director of MIT’s Center for Transportation and Logistics, for lifetime achievement in the field. 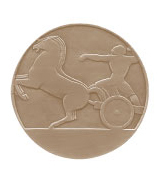 In addition to the presentation of the Salzberg Medallion, the program includes two panel discussions. The first, “What DO companies do to make supply chains more resilient?,” will be moderated by Burak Kazaz, associate professor of supply chain management at Whitman, with panelists James Moore ’75, vice president of operations strategy, Ryder; Bindiya Vakil, president and co-founder, RESILINC; and Chas Spence, director, AlixPartners. The second panel, “Case Studies of Resilient Supply Chains in Action,” will be moderated by Sheffi, with panelists Richard Zarski ’76, senior vice president for manufacturing, supply chain and logistics, Fujitsu Frontech North America ; Louis R. Ferretti, global supply project executive for environmental compliance and supply chain responsibility, IBM; and Tom Kassouf, president, Snap-on Tools Company, Snap-on Inc.
“The panelists who will speak on supply chain resiliency demonstrate that supply chain management is not an isolated silo in a company, but the basis of competitive differentiation. Resiliency is a priority for top executives and boards of directors,” says Frances Gaither Tucker, associate professor of marketing and supply chain management and chair of the marketing department at Whitman. The program begins at 2 p.m. in Lender Auditorium, located on the concourse level of the Whitman School building, 721 University Ave. The event is free and open to the public. Paid parking is available at the University Avenue Garage. For more information on the Salzberg program, contact Agnes H. Magnarelli, program coordinator, at (315) 443-1383 or ahmagnar@syr.edu.